CTA Intelligence US Performance Award as the Best Cryptocurrency Program Category. CTA Intelligence US Performance Award as the Best Short Term Trader. Managed Futures Pinnacle Award as the Best Diversified CTA Under $500M AUM. 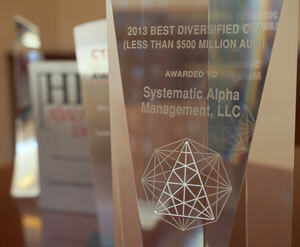 HFMWeek US Performance Award as the Best Managed Futures (CTA) Under $250M AUM. HFMWeek US Performance Award as the Best Managed Futures Newcomer.